Our huddle at the end gave an opportunity for everyone to say their piece. It was cathartic, but ultimately we agreed we had let ourselves down. We did not start with any energy, and although we got better, we should not have started slowly; and when we raised our game, it was not enough. North London put out their very best side. We had given them a proper fright in the reverse fixture, and they wanted to insure against that happening again. But we also had a stronger side out. North London won the toss and chose to bat. Jasmine and Lakeesha bowled well, and Jasmine got rid of one of North London's Middlesex players for a duck, before Anna got another one for 8. But the third got away, and made 30 odd before she retired. So did their captain. This was the stage when things went wrong for us. The bowling was tight and effective. The problem was our fielding. The contrast with when we batted highlights the point. North London threw themselves around in the field, determined to stop anything and everything. Long barriers, crazy dives, face plants - they did them all. They scored 14 fours; we scored seven. What they did might not be graceful, but it is effective. We need to learn from this: if the ball is near us, we need to throw ourselves at it. There is glory in stopping a boundary, and although we did get better, we did not really commit ourselves. If we are ever going to beat this age group's North London side, we have to do so. North London set us 114 to get, and as we strapped on our pads, we set ourselves targets for eight and ten overs, confident that we knew how to knock off the runs. But North London have some great bowlers, and we just could not get any change from their very tight field. One glorious four from Jacqui aside, we subsided to 23 for five and were in real trouble. Cometh the hour, cometh the Jasmine. She told me she was really tired after a multi-day school trip this week, but if she can bat like this on no sleep, goodness knows what she can do when she is fully alert. She played herself in, and then went bananas, scoring 21 off nine balls. She had to retire at that stage, but she was so in the zone she was scoring fours all round the wicket. She found a partner in crime in Lakeesha. Lakeesha steals runs like nobody's business. It was too late, but it was fun. Anna and Katie carried it on right to the end. 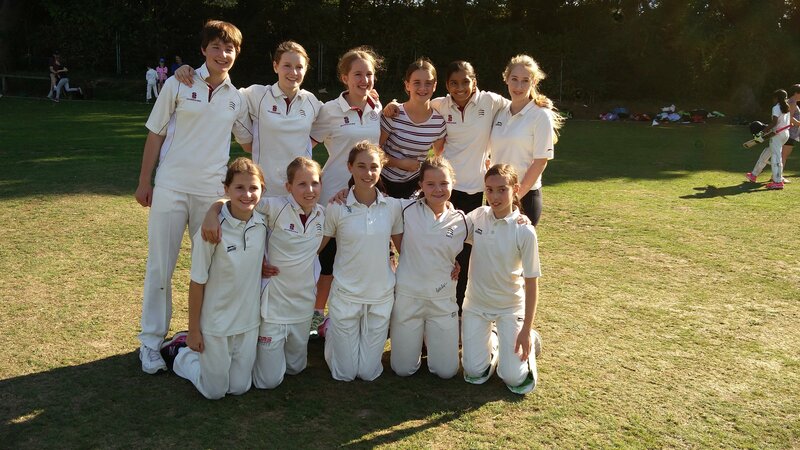 North Middlesex u13 girls are the second best north London girls cricket team. But we know what it takes to become the first: commitment and energy. We agreed in our huddle at the end that we owe it to ourselves to really make that commitment and show that energy. Let's do it. North London won the toss and decided to bat.